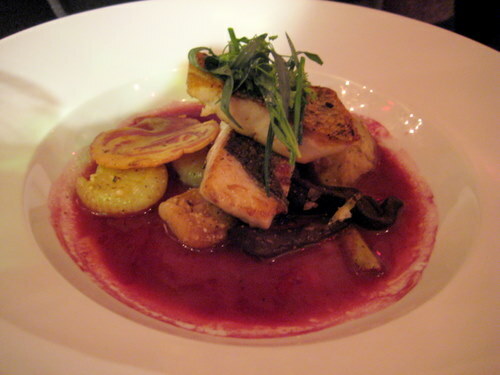 Every major city has some sort of restaurant week, and Philadelphia is no exception. It happens several times a year, and enclaves within the city even have their own versions of it. I don’t participate in it too often as the menus can be very limiting and not worth the value. But sometimes, once in awhile, I partake. 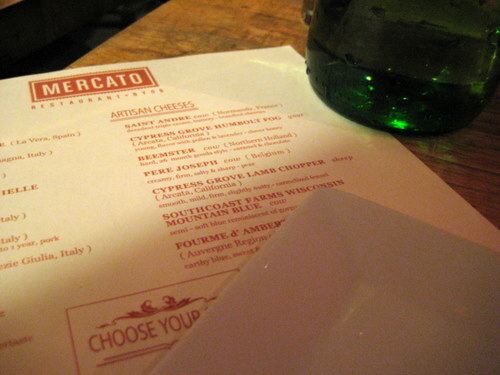 So for this last go-round, we went to Mercato. I’ve always wanted to go here. It’s a teeny little byob in midtown village that is always packed. And there’s certainly many reasons why. The place is so small and the tables are densely packed in. You literally have to squeeze yourself into your seat. But it’s not a big deal. Since it was restaurant week, we pretty much got our pick of the menu and got to select one app, one entree, and one dessert. Only the cioppino was excluded from the menu and the antipasti had to be shared between two as the app. Otherwise, it was all fair game. I appreciated that. 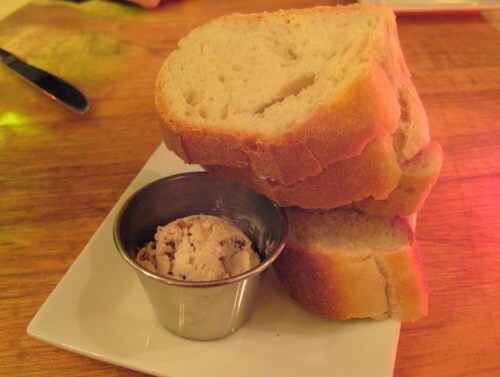 Some complimentary bread with a flavored butter. Just wonderful. 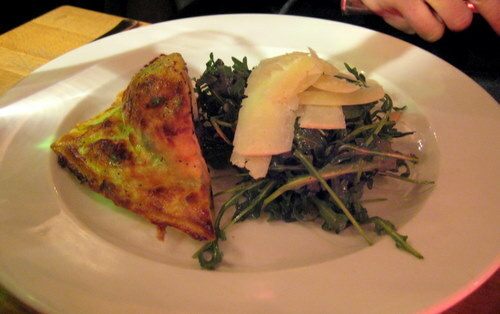 M’s roasted portabella and arugula puff pastry with pecorino, pine nuts, and thyme citronette. Delicious! 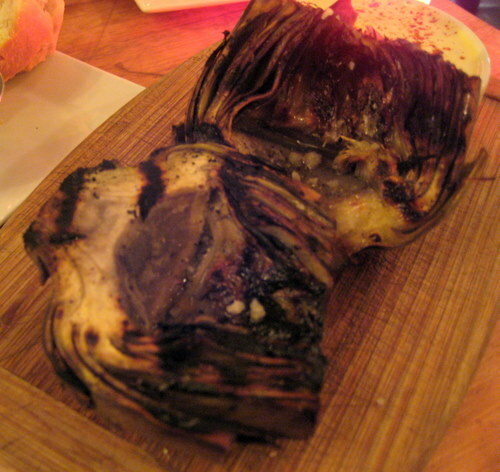 Whole grilled artichoke with a extra virgin olive oil, sea salt, and a zesty citrus aioli. Again, delicious! And I don’t even like artichokes. It looked so good that I had to try it. Even if I don’t traditionally like artichokes. I’m trying actively to expand my horizons. It was so smoky and great. And we fell in love with this aioli. I could have drank it. The crispy skin striped bass with caramelized cipollini onions, artichokes and pancetta crisp, in a chianti reduction aioli. Ooh baby. If I wasn’t such a scallop freak, I would have ordered this. In fact, next time, I will! 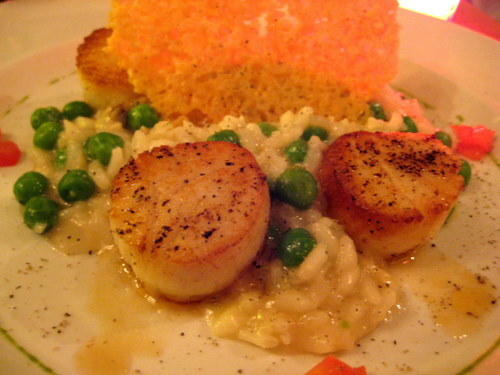 So as for me, with very little surprise, I ordered the pan seared diver scallops with a wild mushroom and english pea risotto, parmesan crisp, and drizzled with truffle oil. I’m a sucker for scallops and I’m a sucker for this dish. So perfect. The risotto was creamy and dreamy and super flavorful. I love anything with peas in it! I could have licked the plate. And were it not for all the other patrons within an eyelash of me, I would have. 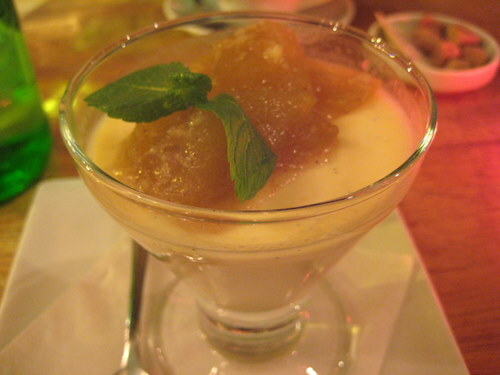 For dessert I got the panna cotta with cinnamon apples. Loved this too. Loved every damn thing about this place. I can see why this place is packed all the time and gets rave reviews. It deserves all of its lauds. Service was pretty good considering there were only 3 servers for the whole joint and the place was mobbed. It’s cozy but not quiet. Because you’re so tightly packed together it’s busy and loud and bustling. But it’s still adorable. And the food is lovely. I want to taste every dish!